Recent studies have shown that fasting could help fight against aging. As well as many other health benefits researchers and scientists are working together to show people how it can help. Studies are showing that intermittent fasting is helping certain people to loose weight and has many anti aging benefits. Intermittent fasting is a type of eating pattern that focuses on the times between eating and fasting. It doesn’t focus on which foods you should eat but when you should eat them for the day. Different methods of intermittent fasting split up either the day or the week into eating and fasting patterns or periods. The key to intermittent fasting is keeping your eating period in an 8 hour window. A popular form of this fasting is called or known as the “16/8” method. This basically is that you are fasting for 16 hours of the day (including sleep) and eating during the 8 hour window period. Most people tend to skip breakfast and eat their first meal around noon and have their last meal around eight. As the body goes through Intermittent fasting the metabolism has a number of changes during the process. When carbohydrates are available our bodies will use them as fuel. Once these carbohydrates are used the body will begin to look elsewhere for energy. The process of this is called gluconeogenesis. Gluconeogenesis is when the body takes glucose from sources that are noncarbohydrates. An example of a noncarbohydrate source would be amino acids. 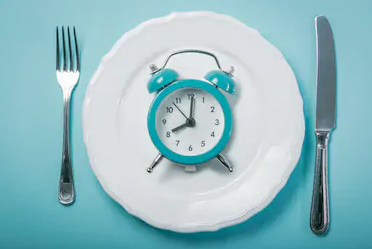 Scientists at the Okinawa Institute of Science and Technology Graduate University in Japan examined the impact that Intermittent fasting has on the metabolism. They studied four different volunteers for a span of 58 hours researching their blood samples during their fasting periods. Scientists found many metabolic changes like increase in products of the citric acid cycle. The process is in mitochondria, and its function is to release any stored energy. Another study found in rats that intermittent fasting actually increased their lifespan. Human studies have not yet proven this. Research and studies have shown the many benefits for weight loss and increase of your metabolism. Consider talking to your doctor if this is something you are interested in doing. It could help fight against diseases and potentially help you live a longer life. If you would like to learn more information on Long Term Care please visit LTC TREE for more information.